A while ago, we created an article asking whether hard drives (HDs) would have their destination compromised due to the arrival of solid-state drives (SSDs). Now we are sure that SSD – even though it is more accessible – has not killed the traditional technology of mechanical drives, but you can tell it is becoming more and more popular. Solid state components with large storage capacities still do not have convincing pricing (mainly in Brazil), but many users are opting for more modest models to install the system and run games. There are also some people who are opting for hybrid models, which bring a solid state cache memory that ensures a good gain in performance. 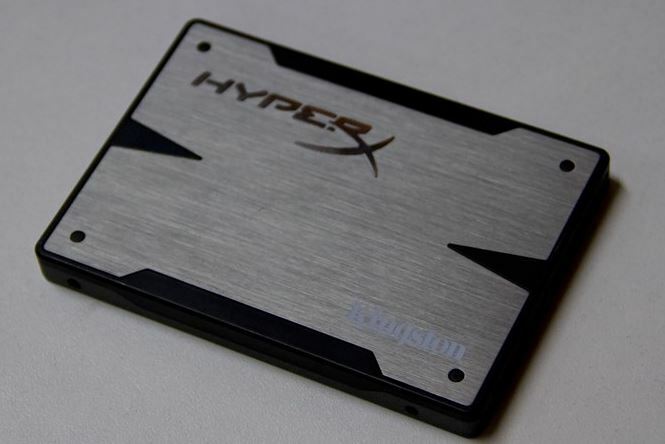 Whatever the case, there are several details to be observed when purchasing an SSD. In addition, some settings need to be made on your machine for maximum component performance. With that in mind, we’ve come up with a number of tips for you to take advantage of your solid state drive in Windows 8. Most of the tips presented here should work perfectly with Windows 7. The first thing you should check is the type of your computer’s SATA standard. It’s no use buying a modern SSD with an incredible speed of writing and reading if your motherboard does not have the necessary features to ensure that data transfer occurs in the best way. So the first thing you should do is check if the motherboard is SATA 1, SATA 2 or SATA 3. How to do this? There are no physical differences that allow this distinction from one standard to another, so it’s no use opening the case because the connectors on the board will not say anything. However, some boards bring this information printed on the chassis itself. Of course you can avoid unnecessary work if you have the motherboard manual or the model (with this information, just search Google and find out what the SATA standard). Knowing this is not so relevant when buying an SSD, since the most recommended is always to buy a component compatible with the latest standard. You may not even be able to find more SATA 1 SSDs. It’s also interesting to think that sometimes it does not pay to buy a SATA 2 standard drive, as it will not offer long-term benefits. Calm down, you did not waste time getting this information about your motherboard. It is recommended to know this type of detail to get a sense of the data transfer limit of your computer and thus not to end up raging when realizing that your SATA 3 type SSD is working as if it were a SATA 2. 2) What is the type of storage unit? Well, once you already know the SATA standard of your PC, you need to think about what kind of drive you will get. In addition to the classic SSD, you can find SSHD devices (a hybrid that combines HD technology with SSD technology). Common SSD is the most expensive of all, but it is also a drive that will ensure the best performance in all situations. These components only carry flash memory chips, which ensures the highest data transfer rates in any situation. It is a good idea to hook up a 128GB SSD to store games and the system, for example, with a 1TB hard drive to store your personal files. The hybrid SSD is basically a hard drive combined with flash memory modules. There is a large disk to store the main information, and a small portion of flash memory to save only the most important files that help with system and software startup. These components are often faster than hard drives, but are not the most recommended for those who want to have a significant performance gain. SSHD is a good solution because it’s cheaper, but it’s certainly not the best idea for people who play hard or work with software that requires a lot of the storage drive. 3) Should I reinstall the system? If you are migrating from a hard drive to a solid state drive, there is some chance that you will be too lazy to install the operating system from scratch and have the brilliant idea of ​​continuing to use Windows on your hard drive. Our recommendation to anyone who is migrating to an SSD is to always reinstall the system and all drivers so that it can achieve the best performance possible. There’s no point in acquiring such a component and continuing to skate with a hard drive. AHCI (Advanced Host Controller Interface) technology was created by Intel to ensure that all features of the drives working with the SATA bus are utilized. It is present on most modern motherboards, and is usually an option that is already enabled by default in the BIOS. By having this feature turned on and working properly, you may have a 10 or 15% performance gain. In order to use AHCI, you will need a special driver. Generally, it is interesting to install it next to the operating system (with the use of a pendrive, you can enter the driver and enable the configuration already in the Windows installation). If you have already installed the operating system, but you did not provide the driver at the appropriate time, Windows must have used a generic driver. Either way, you can install another driver if you wish. Sometimes the software provided by the motherboard manufacturer can guarantee better results. To see which driver is installed and perform updates, you can access the “Device Manager” of the computer and find the ATAPI IDE / ATA controllers. Right click on them and open the “Properties”. There will be information about the driver version and other details. Keeping your computer’s drivers up-to-date is always critical for the system to run with the best performance possible and not flawed. Normally, when installing Windows with the basic drivers, we are not usually connected to the internet and we ended up using a generic driver version for the SSD. Windows 8 usually updates all drivers by itself, but it may be that the software appropriate for your solid state drive has not been downloaded by the Microsoft system. In these cases, you can access the “Device Manager” and check both the SSD and AHCI Controller properties if the latest driver versions are installed. Of course you will need to check your motherboard website and the brand of your SSD which is the most recommended driver and the latest version. Updating the driver is easy and can guarantee you a good gain in speed of writing and reading data. This is a very simple configuration that is not normally modified, as people do not suspect that the “Power Settings” can directly impact the performance of the machine. Well, the truth is that PC can limit the performance of storage devices to save energy. To configure these options, you must open the Start Menu and open the “Power Options” item (just type these words directly into the menu for Windows to search). Typically, Windows sets the “Balanced” mode to default. However, our recommendation is that you turn on “High Performance” mode. Then click “Change plan settings” and then “Change advanced power settings”. Now open the “Hard Disk” option and set the shutdown time to “Never”. Now Windows will not let the storage drive rest, which means it will always be active and ready to go. It is worth mentioning that this configuration decreases the useful life of the component. System protection is very useful in emergencies. It is thanks to this feature that Windows automatically backs up and creates restore points so that you can recover the contents of your machine when any serious errors occur. Although useful, this configuration consumes a lot of computer resources, causing a major negative impact on overall performance. Disabling it ensures a significant gain in performance, but of course you end up becoming vulnerable in some situations. This change may be especially important in order to avoid unnecessary writing being performed on the flash memory of the SSD. Of course, if you do not feel safe and choose to keep the protection active, you do not have to disable this setting. 4) Click “Apply”, confirm the Windows message and close the window. The paging file was created to ensure that older versions of Windows might have additional space to store temporary files that did not fit in RAM. Now that computers already bring improved hardware configurations, keeping this option active will only slow your system down. If your computer has 4GB of RAM (or more) and if you are using a solid state drive, turning off this option should result in an incredible performance gain. Usually, you should not have problems due to lack of memory, but if you usually keep using many softwares, then shutting down that function can result in errors. Anyway, like all the suggestions in this article, any settings can be rolled back. It is worthwhile to always test and experiment to see if the performance gain is worth it and if there is no error. 5) Select the SSD, check the “No paging file” option and press the “Set” button. The Windows search system has improved a lot in recent years, but it has also greatly increased the use of the storage device. To streamline searches, the system creates an index with the information you need to make all files accessible quickly. That’s fine, but it can impact overall performance and reduce the SSD’s lifespan, since too much data will be written. 5) Click “Apply” and close the window. 4) Apply the options and close the window. What is the Difference Between the Data and Functionality of a CPU and GPU? Why is the CPU Important to a Computer?